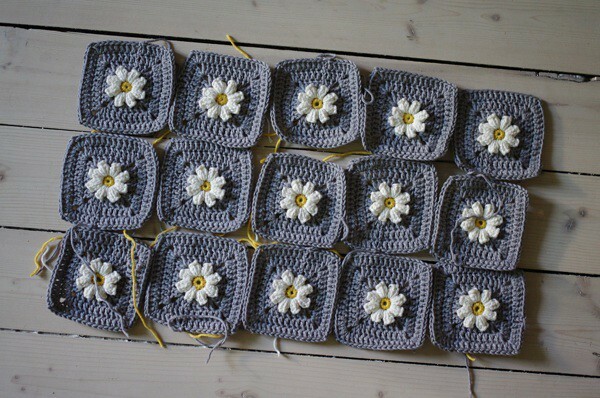 they will make a pretty blanket! synes dette er mønsteret er så utrolig flott.. har heklet popcorn tidligere i puter og sengetepper.. men da med 12/4 garn.. Cute er ordet! Skjønne farger sammen. These are stinkin CUTE!!!! I luv them! Will you be writing/sharing a pattern for this? I tried to make a baby blanket out of “something pretty” but it was so heavy. Beautiful, you are a very talented person! 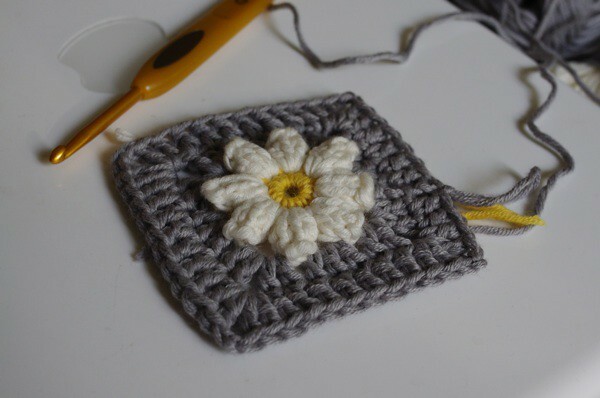 Hoping with all my heart to see a pattern here for this pretty daisy square. My little daughter would love a blankie like this. Helt enig – kjempesøtt! Og nyyydelige farger sammen! i love it. love love love it. and yes, crochet is beyond addictive. This is so sweet, the pattern and the colours. It shows a huge lack of imagination on my part, but I really want to make exactly this now! Thank you for sharing the pattern. I know the feeling, good luck with your knitting! this is very cute, I love it. I’m not the craft type, but I might talk my wife into making it for our next baby if it’s a girl, which we are hoping for.